Next year FOX will be launching its first of what The Blot can only assume many new X-Men television shows. They’re kicking off the new X-Men television universe with Legion on FX! Long time Marvel fans will instantly recognize the name Legion as the mutant antihero (and sometimes villain) with dissociative identity disorder that also just happens to be Professor Charles Xavier’s son. Legion is scheduled to premiere on February 8, 2017, and FOX has just realized this beautiful one sheet television poster to promote the new series. 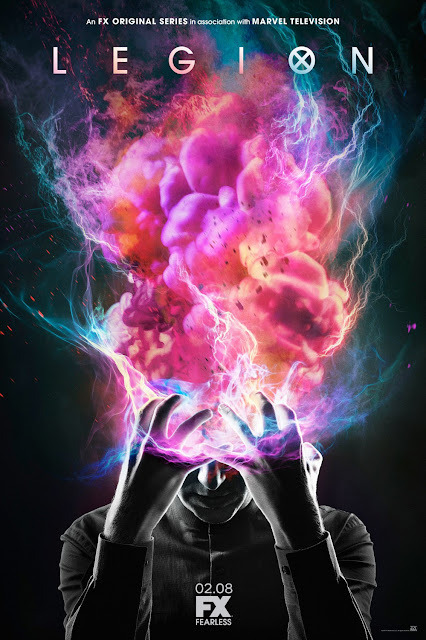 Legion Official Synopsis: Legion, based on the Marvel Comics by Chris Claremont and Bill Sienkiewicz, is the story of David Haller (Dan Stevens) – a troubled young man who may be more than human.